If you’ve had this tangy, spicy and slightly sweet sauce, just the thought of it should start you salivating. 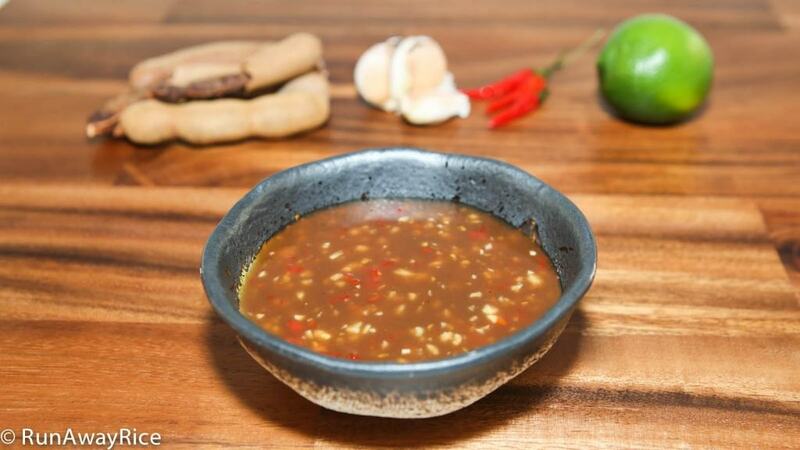 Made of tamarind, garlic, red chilies, lime juice, sugar and fish sauce this sauce is a unique combination of tart and sweet. A tantalizing concoction, this sauce is typically served with baked fish wrapped in rice paper and enjoyed as fresh spring rolls. (Stay tuned, next week I’ll share this companion dish, Asian-Style Baked Salmon.) I also love this sauce as a dressing for refreshing salads or rice noodle bowls. If you’re looking for a vegetarian option, substitute the fish sauce with soy sauce or tamari. Enjoy! 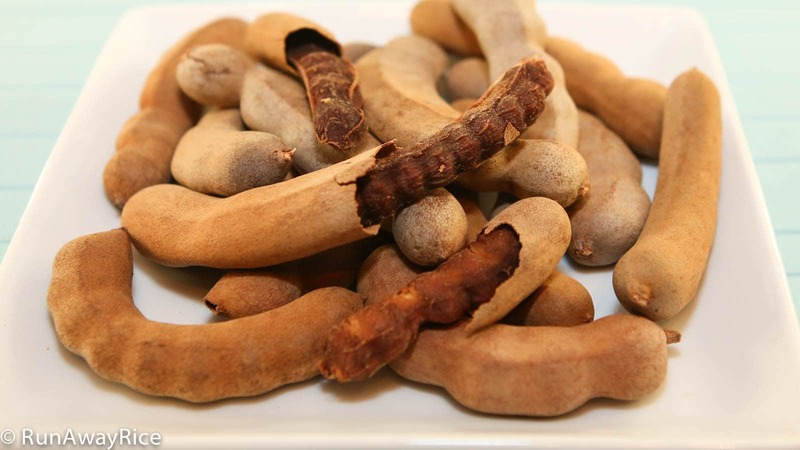 Depending on where you live tamarind may be difficult to find. The dried tamarind is often sold packaged as a block (like cheese) or a disc (like a big rice cake). Sometimes it’s labelled as “wet tamarind” to differentiate between the dried whole pods (picture below). Look for these products at your Asian grocery store. If you have a Latin market nearby, you can buy the dried whole pods (see picture below). The tamarind is packaged in small plastic bags and very inexpensive. Simply peel off the skin and cut off the stringy parts attached to the pods. Then cut the fruit into small pieces for this recipe. If dried or wet tamarind is not available, you may be able to find tamarind paste. When using tamarind paste, the intensity may vary so you’ll need to experiment a bit before finding the right combination for this sauce. (Also keep in mind that some pastes include additional spices likes ginger.) For the below recipe, you need 1/3 cup of tamarind puree so add 2-3 teaspoons of the tamarind paste with 1/3 cup hot water. Stir to dissolve and then follow the recipe as per below. Put the dried tamarind into a bowl or measuring cup and add the boiling water. Mash tamarind using a small whisk or spoon to extract the fruit. This takes approximately 5 minutes. Strain the mixture using a sieve. Use the back of a spoon to push the tamarind through the sieve until all that’s left is the pulp. Finely minced the garlic and red chilies. Set aside for now. Add the tamarind puree into a small saucepan. Add the lime juice, fish sauce and sugar. Over Low heat, stir the mixture until the sugar is dissolved, approximately 2-3 minutes. Let the sauce cool for a few minutes. Add the garlic and chilies and combine. Pour sauce into dipping bowls and serve. Refrigerate any uneaten amounts. The sauce is best if consumed within the week.